The four-month odyssey of a literary lowlife. Set in middle America during the economic hard times of the Nixon era, this tragicomic, epistolary masterpiece chronicles everything Andrew Whittaker—literary journal editor, negligent landlord, and aspiring novelist—commits to paper over the course of four critical months. From his letters, diary entries, and fragments of fiction, to grocery lists and posted signs, we find our hero hounded by tenants and creditors, harassed by a loathsome local arts group, tormented by his ex-wife, and living on a diet of fried Spam, cupcakes, and Southern Comfort. Determined to redeem his failures and eviscerate his enemies, Whittaker hatches a grand plan. But as winter nears, his difficulties accumulate, and the disorder of his life threatens to overwhelm him. 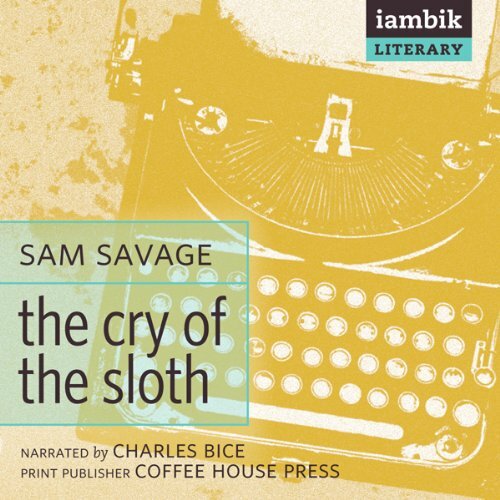 A send-up of the literary life and the loneliness and madness that accompanies it, Sam Savage proves that all the evidence is in the writing, that all the world is, indeed, a stage, and that escape from the mind’s prison requires a command performance. ©2009 Sam Savage (P)2011 Iambik Audio Inc.